Adder unit for adding to existing 4Post&amp;trade; installations. 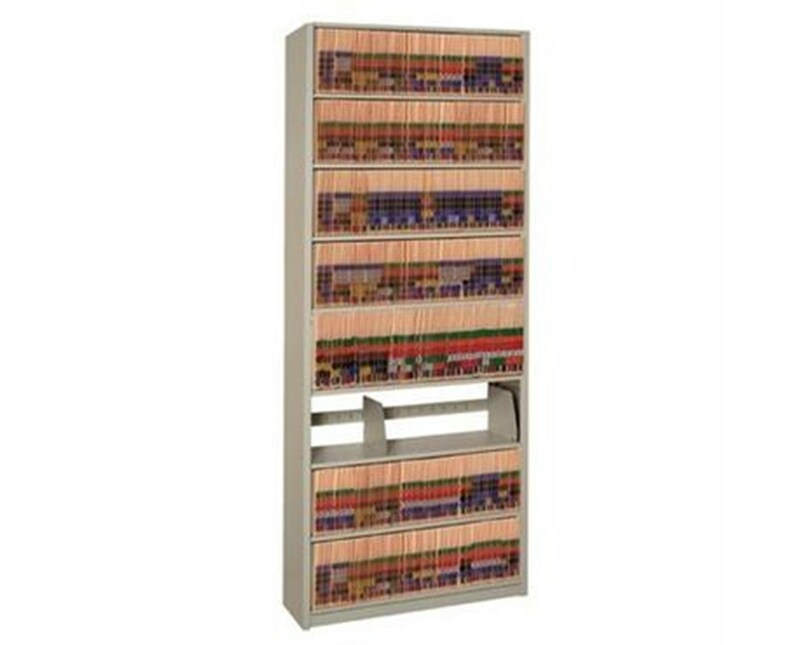 Space-efficient Letter-size document storage solution with 7 openings, 8 shelves, and adjustable dividers. 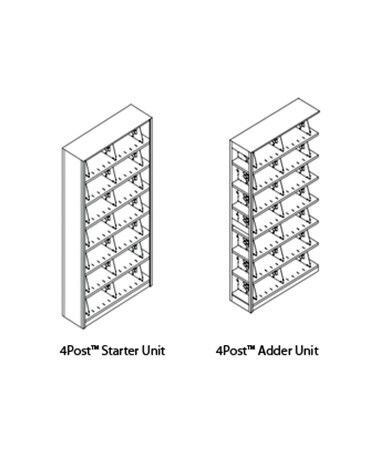 These 4Post™ Adder units ship in one box containing everything you need for rapid and easy setup and deployment, including 3 dividers per opening, top shelf, shelf supports, 2" kick plate, and a generous 238 Lineal Filing Inches (LFI) of storage. 4Post™ units are super-easy to set-up and assemble. All units include 76-1/4" high uprights, and 2" high front base. Adder units include one open “T” upright, meaning it can only be used in conjuction with a Starter unit. The open design allows it to be fitted with the Starter unit and then closed off with the Starter's "L" uprights. Please see additional images above. The 4Post's™ modular design allows you to "grow as you go" - begin with a Starter unit, then select these Adder units to accomodate your facility's storage requirements as needed. Pick any of the 19 colors from the drop-down list above. These 4Post™ units measure 36" wide, 76-1/4" high, and 12" deep. Ships in one box that includes 3 dividers per opening, and all necessary hardware for rapid setup and deployment. Adder unit for adding to existing 4Post™ starter unit. 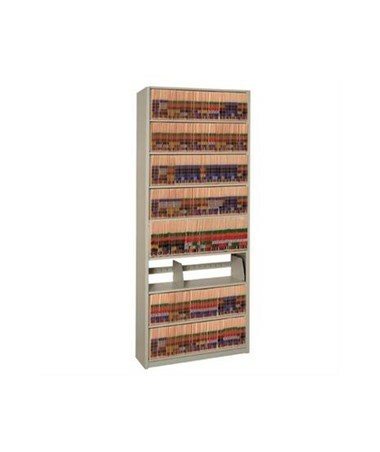 4Post™ shelving adder unit with 7 openings.